Have you heard of DIY Couture? Rosie Martin takes an unorthodox approach to sewing which I find inspiring and refreshing. 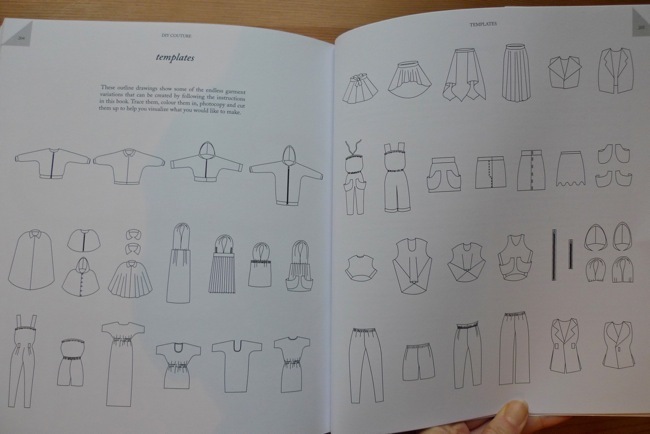 She laments the fact that sewing patterns can be so complex that they deter many people from making their own clothes, likening deciphering the instructions with deconstructing a Chaucer poem. 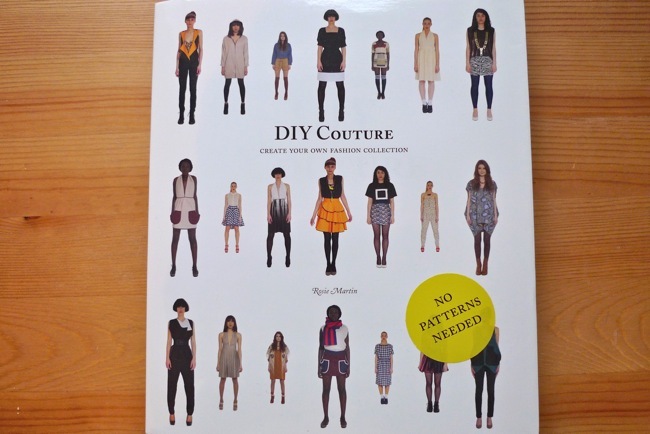 Her new book DIY Couture: Create Your Own Fashion Collection, which the publishers Laurence King sent me to review, does away with patterns altogether. 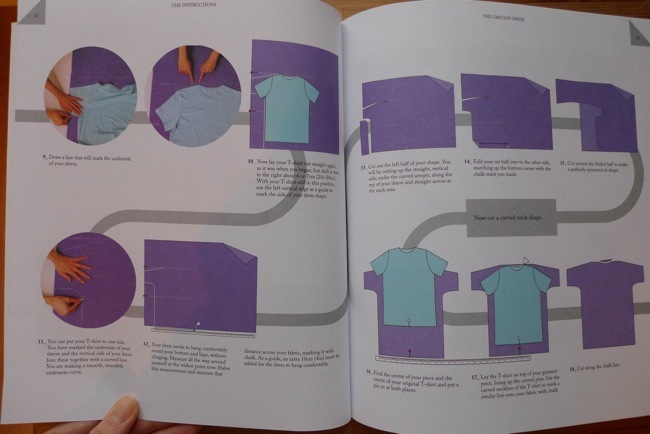 Instead it shows you how to make simple, loose-fitting garments by taking basic measurements, drawing round clothes you already have, and adding extras such as pockets, straps and gathers. 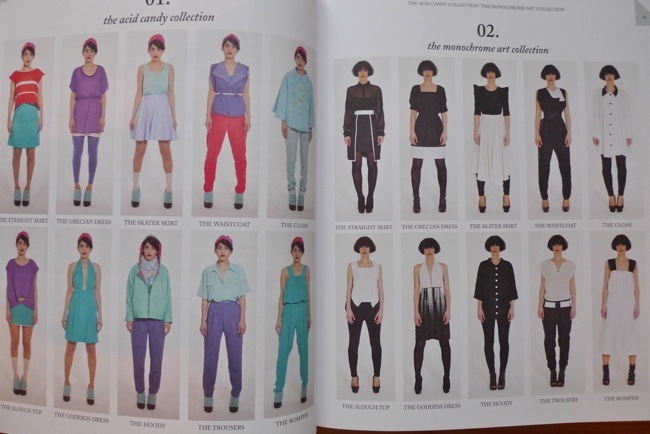 There are ten garments to make up, each in eight different styles. The garments are clearly aimed more at younger readers and Shoreditch hipsters in particular, but there are a few things I can see myself wearing, such as a lovely cloak and easy-to-wear Grecian dress. "A key message I would like to put across is: don't worry too much about the details. No doubt, making things 'accurately' will make you feel good about the item you have made. However, when you wear shop-bought clothes, it is unlikely that you zoom in on the fine points of their construction. When you try on a new piece of clothing and look in the mirror, you generally do not look at whether a line of stitching is straight, or the buttons are sewn on perfectly evenly. You look at how the garment hangs on your body; you think about how it feels; you look at the colour or pattern of the fabric. When you see a dress you like on someone in the street, you are probably not admiring the amazingly even seam depth. Next time you are in a high-street clothing shop, or even a vintage or designer boutique, take a moment in the changing room to focus on a hem, a strap or a join. You will probably start to notice things that you would criticise if you had done them yourself. 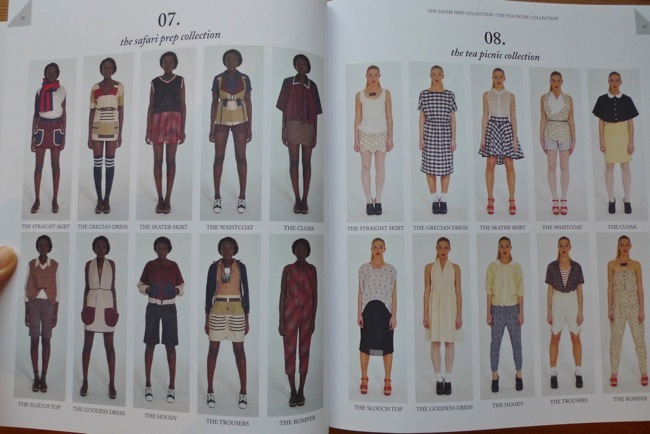 All the clothes pictured in this book were handmade at home, and very few of them could be considered 100% perfect. My line of reasoning is this - let it go. Those small details do not matter to a garment's looks or usability." What DIY Couture's approach may lack in technical accuracy, it more than makes up for in resourcefulness and encouragement. 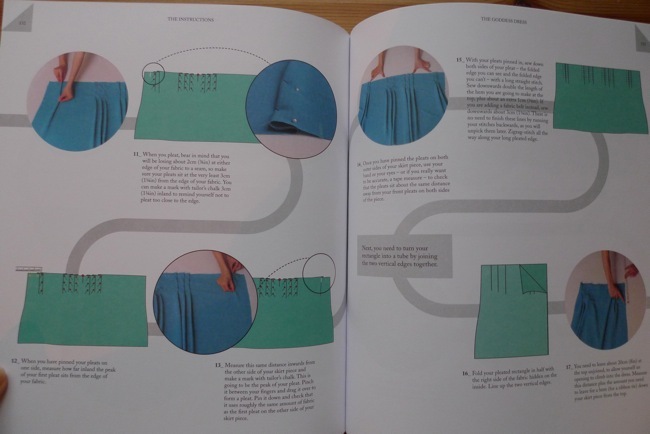 The book explains the basics of sewing in an extremely down-to-earth manner, doing a great job of focusing on the concepts that can really stump beginners. It has tons of photos and extremely detailed step-by-step instructions that would make it almost impossible to go wrong. The beauty is that readers are given the confidence to make the garments their own, to experiment with their own design features, and to sew things their own way, rather than relying on patterns. 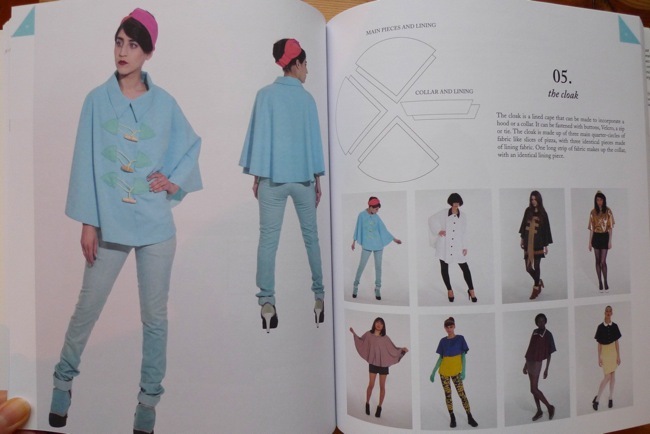 What a world of possibility DIY Couture opens up! Ah yes, the giveaway! Laurence King publishers are offering copies of the book to three of my readers. If you'd like to win, leave a comment below letting me know if you've had any experience making your own clothes without patterns, if so what you did and any reflections on the process... to feed into a future blog post I'm planning! The deadline to enter is Friday 11th May 2012 at midnight GMT. The winner will be selected by random number generator and announced on this blog in a future post. The giveaway is open internationally and includes shipping. Don’t forget to leave your email if it’s not linked to your blogger profile so I can let you know if you win. Good luck!